Celanese Corporation (NYSE:CE) , a global technology and specialty materials company, today announced the appointment of Pat Quarles as executive vice president and president, Acetyl Chain and Integrated Supply Chain, and Scott Sutton as executive vice president and president, Materials Solutions, effective June 1, 2015. Both executives will report to Celanese chairman and chief executive officer Mark Rohr. 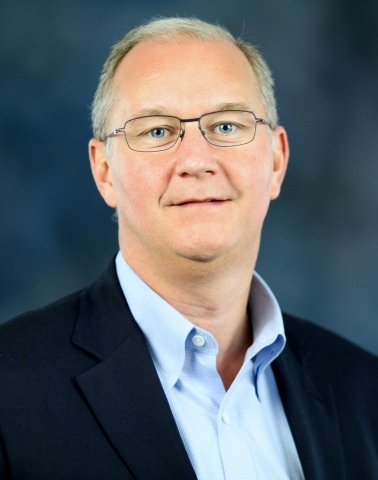 Pat Quarles joins Celanese as president, Acetyl Chain and Integrated Supply Chain. Mr. Quarles has 25 years of experience in the chemicals industry, including 17 years at LyondellBasell Industries. Most recently, Pat was leading LyondellBasell’s Intermediates & Derivatives business. As president of the Acetyl Chain, Mr. Quarles will be responsible for leading his team in producing high-quality products and strengthening Celanese’s process technology. He will also be accountable for productivity, sustained performance improvement and development of the Acetyl Chain leadership team and businesses, which include intermediate chemistry, emulsion polymers and EVA polymers. Scott Sutton, who joined Celanese in 2013, will assume the role of president of Materials Solutions. Mr. Sutton is currently vice president and general manager of the engineered materials business of Celanese. He also served previously as vice president of Supply Chain with accountability for global manufacturing and capital projects. Prior to that, he served as vice president of acetic acid and anhydride for Celanese. Mr. Sutton has 25 years of experience in the industry serving in leadership roles also with Chemtura Corporation and Albemarle Corporation. As president of Materials Solutions, Mr. Sutton will drive the development of new products and technologies that connect Celanese to growing market needs. He will continue to lead the organization’s focus on the commercialization of innovative specialty products tailored to the needs of customers across the Materials Solutions businesses – engineered materials, cellulose derivatives and food ingredients. For additional information on Mr. Quarles and Mr. Sutton, please visit the “Leadership” page on www.Celanese.com at http://celanese.com/About-Us/Leadership.aspx. Celanese Corporation is a global technology leader in the production of differentiated chemistry solutions and specialty materials used in most major industries and consumer applications. With sales almost equally divided between North America, Europe and Asia, the company uses the full breadth of its global chemistry, technology and business expertise to create value for customers and the corporation. Celanese partners with customers to solve their most critical needs while making a positive impact on its communities and the world. Based in Dallas, Texas, Celanese employs approximately 7,500 employees worldwide and had 2014 net sales of $6.8 billion. For more information about Celanese Corporation and its product offerings, visit www.celanese.com or our blog at www.celaneseblog.com. This release may contain “forward-looking statements,” which include information concerning the company’s plans, products, objectives, goals, strategies, future revenues or performance, capital expenditures, and other information that is not historical information. When used in this release, the words “expects,” “anticipates,” “projects,” “plans,” “intends,” “believes,” “may,” “can,” “could,” “would,” “might,” “will” and variations of such words or similar expressions are intended to identify forward-looking statements. All forward-looking statements are based upon current expectations and beliefs and various assumptions. There can be no assurance that the company will realize these benefits or that these beliefs will prove correct. There are a number of risks and uncertainties that could cause actual results to differ materially from the results expressed or implied in the forward-looking statements contained in this release. These risks and uncertainties include, among other things: changes in general economic, business, political and regulatory conditions; changes in the price and availability of raw materials; the introduction of competing products by other companies; market acceptance of our products; changes in the degree of intellectual property and other legal protection afforded to our products and processes; the impact of technological developments and competition; adoption of new or different industry or regulatory standards; unanticipated operational or commercial difficulties, including failure of facilities or processes or products to be designed or constructed, or to operate, in accordance with specifications or expectations; the ability to achieve and maintain plant utilization; ability of third parties, including our commercial partners, suppliers or others, to comply with their commitments to us; increased costs under existing or future environmental regulations, including those relating to climate change; potential liability resulting from pending or future litigation, or from changes in the laws, regulations or policies of governments or other governmental activities in the countries in which we operate; and various other factors discussed from time to time in the company’s filings with the Securities and Exchange Commission. Any forward-looking statement speaks only as of the date on which it is made, and the company undertakes no obligation to update any forward-looking statements to reflect events or circumstances after the date on which it is made or to reflect the occurrence of anticipated or unanticipated events or circumstances.